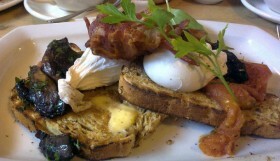 Brighton is a haven for hens with all of the great things on offer for visiting parties. Here’s our round up of some of the Best Hen Party Activities in Brighton you can enjoy in our seaside town from karaoke to power boating and much more! An ideal night for Hen Nights, drinks with friends or just for a laugh – Lucky Voice Brighton provides a great night out for all. 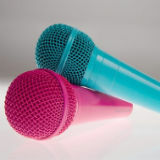 The cocktail and karaoke bar provides great entertainment from singing your favourite tunes to leaning how to make a killer cocktail. 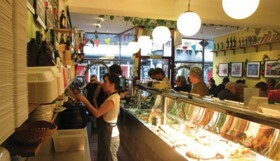 Conveniently situated on Black Lion Street , Lucky Voice is easy to get to and in the centre of Brighton’s busy night life. 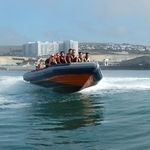 First an instructor will take you for a thrilling ride in both a Thunder Cat and their RIB powerboat. Then, weather permitting, it’s your turn to drive in a powerboat that is essentially a heavyweight racing engine strapped to a lightweight twin-hull, designed to handle the wildest surf. You will find out what the Thunder Cat can do, including jaw-dropping big air jumps and high speed turns. 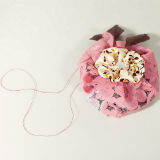 Make, Bake and Decorate the perfect sweet treat in a purpose built kitchen studio and shop. 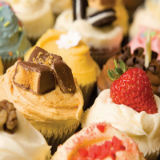 Whether you’re looking to improve your baking skills, cake decorating, learn a new hobby or simply enjoy doing something different, these classes are a fun way to take you to the next level, Angel Food Style. 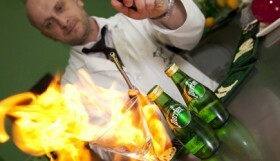 Tailor made, private classes can be arranged for any event including hen parties. Your guests will learn simple and fun hula hooping moves and sequences while they laugh, dance and play. Some hen’s parties have gone on to perform hoop routines at the wedding! 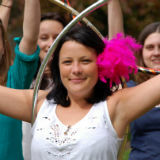 Hoops are provided for all guest and package includes a handmade hoop for the hen. 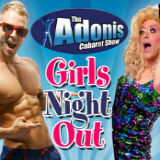 Voted best hen night, now in its 15th year, Adonis Cabaret consistently beats one dimensional strip shows and comedy clubs by combining both! Arrive at 7pm and our hunky chaperone will look after you while you enjoy a buffet and cocktail, then take your seats for the show which starts at 7.45pm. Dynamite Drag Acts and Superstar Male Strippers will raise the roof for over 2 hours of comedy, cheeky ‘Full Monty’ strip, gags and games! Then get ready to party till 3am at the best club in the South! 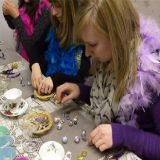 Make a necklace and earrings in a vintage class room, have tea in a china tea cup (or you may bring champagne) and they can even organise cup cakes. £20.00 beads included, one and a half hours. Coming soon, tea room and vintage hair salon. Each hen will learn to make a necklace and a pair of earrings. All tools and materials are provided along with a tutor to guide you through the experience. There is a large selection of beads to suit all styles and taste. It’s a great way to get everybody chatting and relaxed before the evening celebrations begin. Spend a tea fuelled, truly creative afternoon with your favourite pals to celebrate that special day. This comprises of a 2 hour craft class with a tea party to trump all others to follow shortly after! This includes all materials, expert tuition by resident crafter Miss Amy Phipps, printed hand outs, tools and equipment, tea on tap, cake and tunes to craft along too. If you wish to add a little extra sparkle to your party you are welcome take your own champagne/vino/babycham with no corkage fee. 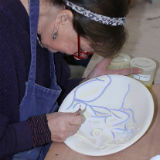 If you’re looking for something different, Pottery Gagliano runs a series of pottery parties, including Hen & Stag, Children’s painting parties and office parties – a wonderfully therapeutic and social activity for adults and children alike. Roberto was born in Italy on the beautiful island of Sicily where he learned his craft from the ceramic masters using the unique clay freshly mined from the Sicilian mountains and valleys. The Perfect Pamper offers bespoke pampering packages for hen parties in Brighton. You, your family and friends can choose from a wide range of activities including Spa days, mobile pamper parties, massage, beauty treatments, makeovers , retreat days and their beautiful ‘Pop up Pamper’ boutique tent. Their packages are designed for all age groups from 18 – 80 and they have treatments that will suit all budgets plus they promise to spoil you rotten!